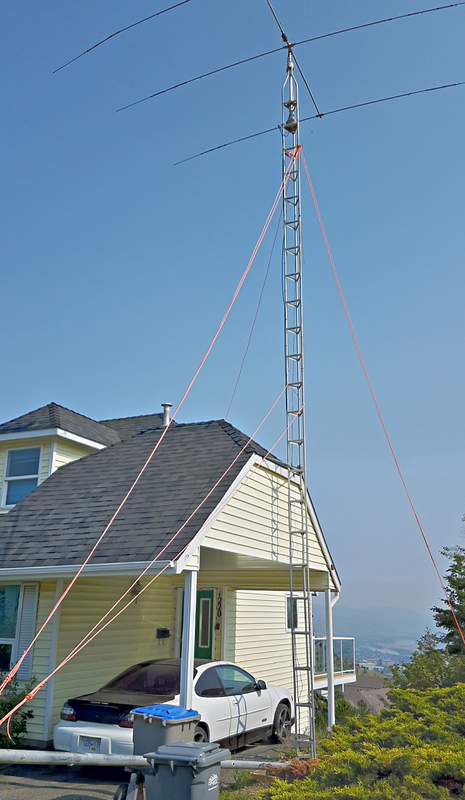 A team of KARC members and friends lowered the tower and beam of SK Bill Foster, VE7WWW on the morning of July 26. Myles spent a couple evenings setting up the falling derrick system, and his friend Rolf helped build the base anchor for the falling derrick. Myles also honed his slingshot skills shooting weighted lines through the tower legs to allow him to get a series of support ropes hooked to the falling derrick, and two guy ropes to help the team stabilize the tower while lowering. 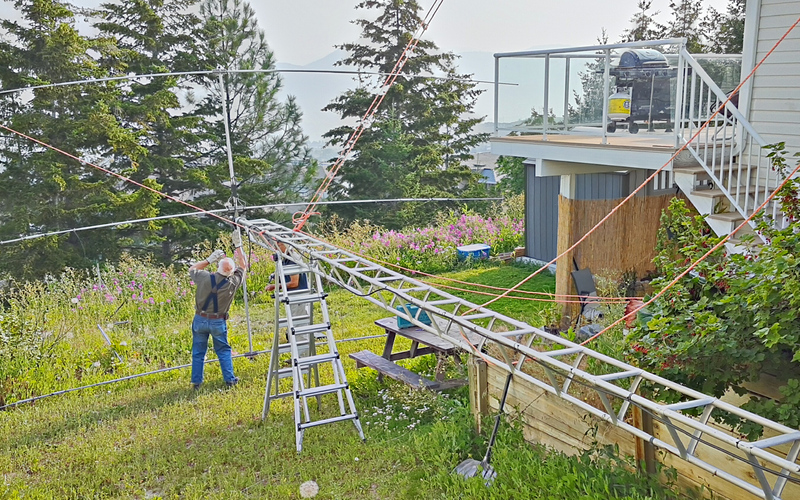 Myles (VE7FSR), Dave (VE7LTW), Vern (VE7VGO), Rolf and Don worked together to lower the tower, using the winch on Myles' Jeep to control the tower on the way down. 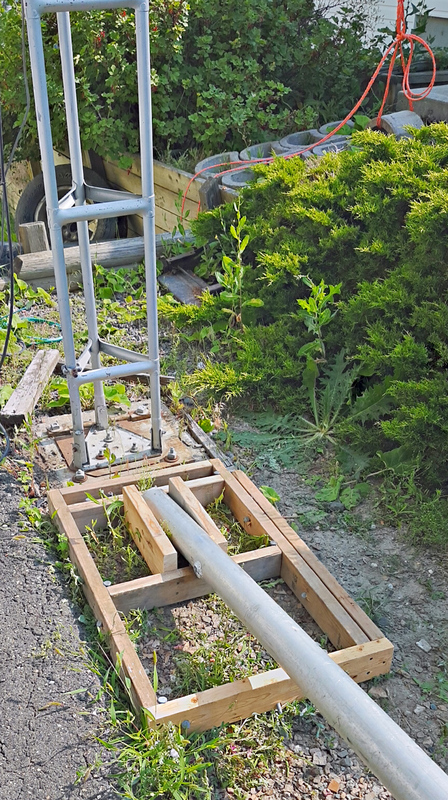 Everything went smoothly and the tower was quickly lowered towards the back yard, the beam was removed, and the tower was detached from the tilt-base and placed in the back yard. 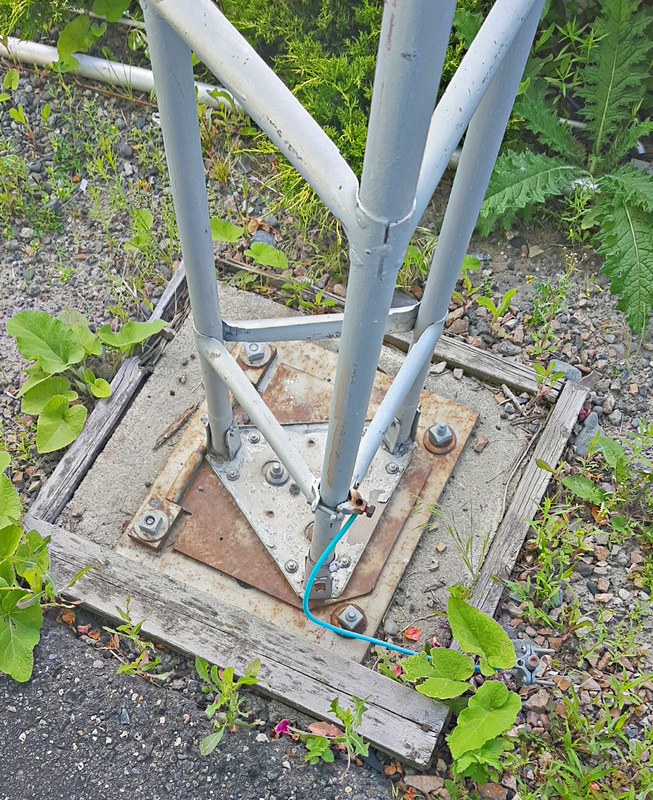 See below for more pictures of the tower before and after, including some pictures of the tilt-base and falling derrick assembly. Thank you to the team for coming out to help, 73!